The following excerpt is from a book review of Eagle Talons, The Iron Horse Chronicles—Book One, that appeared in the Fall-Winter 2015 issue of Railroad History, the official magazine of The Railway and Locomotive Historical Society, of which I am a member. The review was written by Robert Butler of Shaker Heights, Ohio. 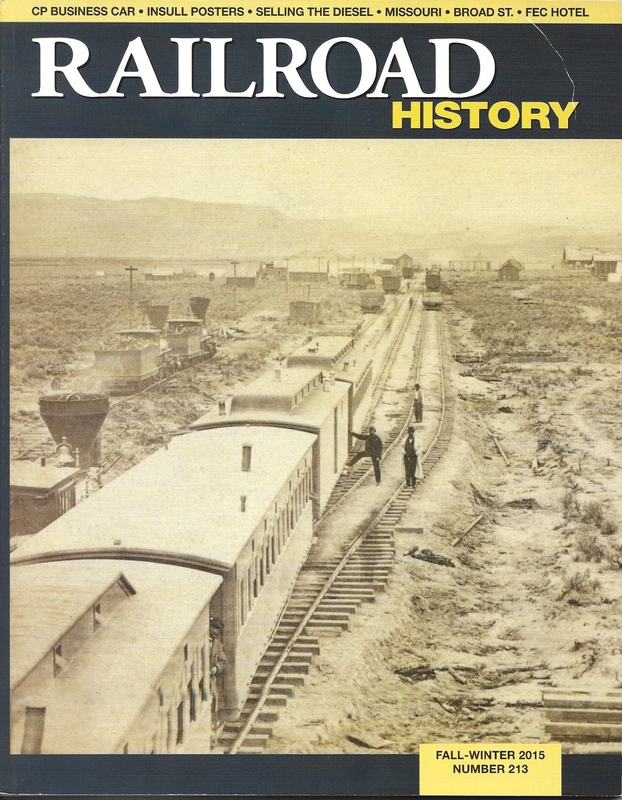 I am copying an excerpt from it here because many of the readers of my blog will not have access to Railroad History. “His journey takes him many different places and involves him in many adventures. His first stop is Omaha, Neb. There, he foils an attempt to steal General Grenville Dodge’s horse Bucephalus. The general returns the favor by allowing William to ride on the Union Pacific to end-of-track at Julesburg, Colo. Along the way, William helps a pioneer family on the Oregon Trail, has another run-in with the horse thief from Omaha, and meets a young Cheyenne named Lone Eagle. He is ultimately reunited with his uncle, and hires on with UP as a game hunter for the survey crews working west of Laramie, Wyo., where additional adventures await him. As is often the case with historical fiction, the author’s protagonist encounters people and experiences events that lived/occurred at the time in which the novel is set. With the exception of an occasional utterance of a 21st-century turn of phrase by one of the characters, author Murphy’s attention to detail with respect to encountered historical figures as well as accurate descriptions of people, places, dress codes, behavior and events is commendable. As Robert Butler anticipates, the next novel in The Iron Horse Chronicles trilogy, Bear Claws, is set for publication in a few days on November 18, 2015. Pre-orders are being accepted by Amazon and Barnes & Noble. This entry was posted in Bear Claws - Book Two, Book Review, Eagle Talons - Book One, Iron Horse Chronicles' Characters, The Iron Horse Chronicles, Transcontinental Railroad, Writing and tagged Adventure Fiction, Bear Claws, Eagle Talons, Fictional Character, First Transcontinental Railroad, Five Star Publishing, Frontier Fiction, Historical Fiction, Historical Personage, Middle Grade Fiction, Pioneer Life, Teen Fiction, The Iron Horse Chronicles, Trains, Transcontinental Railroad Locomotives, Western Fiction, Westward Expansion (1867-1869), Will Braddock, Young Readers. Bookmark the permalink.